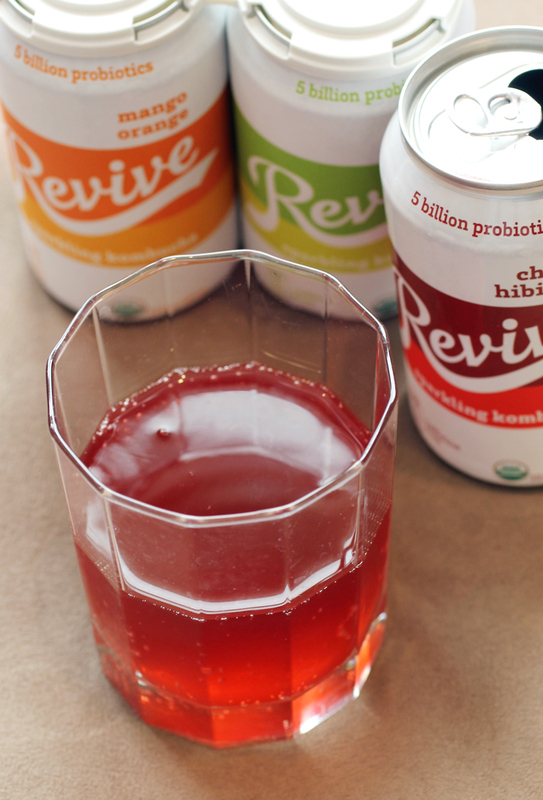 Revive Sparkling Kombucha’s Cherry Hibiscus flavor. 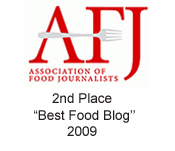 A run-down on new healthful-ish food and drink worth checking out (of which I received samples). It’s not easy to find a shelf-stable kombucha, one that doesn’t need to be refrigerated at all times. 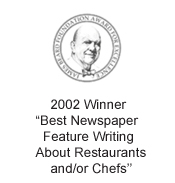 But Revive Sparkling Kombucha has done just that. The Petaluma company’s traditionally fermented and organic craft brew now comes in 12-ounce cans. While it still tastes best chilled, it doesn’t have to be stored unopened in the fridge. It’s made with a similar process as Revive’s raw and refrigerated bottled kombucha. The difference is the sparkling version undergoes a proprietary pasteurization process while incorporating a naturally fermented and live probiotic, DE111. There are only 5 grams of sugar and 20 calories per can. Revive touts that each can also contains 5 billion live probiotics at the time it’s manufactured. The sparkling version comes in four flavors: Mango Orange, traditionally fermented with a black tea brew; Cherry Hibiscus, fermented with hibiscus flower brew and caffeine-free; Strawberry Lemon, fermented with a blend of hibiscus and yerba mate; and Citrus Ginger, fermented with a ginger brew and caffeine-free. If you’re used to the assertive vinegary pucker and funky fermented character of most kombucha, this will strike you more as kombucha-light in taste. And that may be a good thing for people who don’t necessarily like the taste of kombucha, but force it down for its ability to aid digestion. The sparklers are nicely fizzy and would be a very good substitute for sugary sodas. To me, they taste like a juice spritzer — refreshing, not overly sweet, and with a hint of tang on the finish. I think the Mango Orange might be my fave because of its tropical notes and definite mango taste. Find the $2.99 cans at Good Eggs and Oliver’s Market. 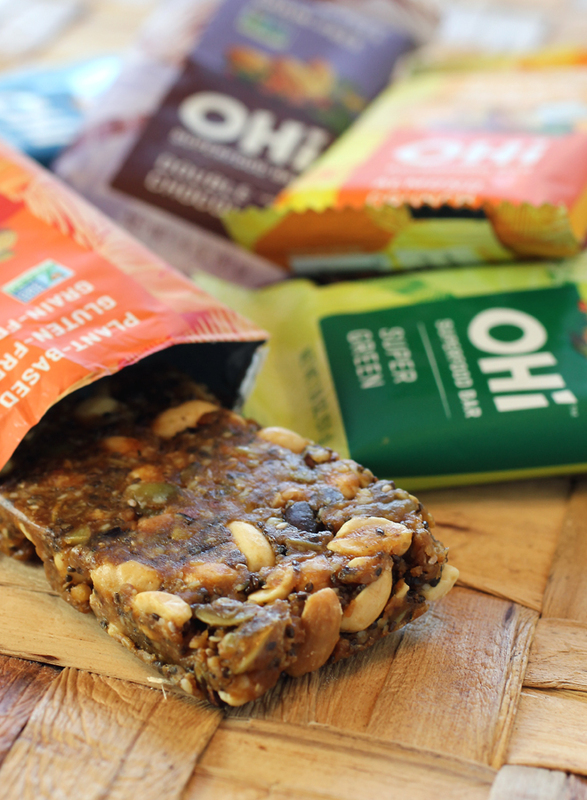 Ohi Superfood Bar in Peanut Butter Mesquite flavor. Made in California now, these energy bars are non-GMO project verified, predominantly Paleo, low glycemic, and free of grains, soy, refined sugars, and dairy. They are also certified vegan and gluten-free.